It was just one of those days where my head wasn’t quite in the game the way it should have been. My head was full of all kids of things… from all the many things that need to be done to over analyzing situations to organizing words to compiling all sorts of scenarios to sorting through all kinds of thoughts flitting around in my noggin. Worrying even set in a little today! <GASP> I know, I still have some time to be giving up my worries; Lent isn’t over yet. Things just weren’t adding up! From work to personal stuff to anything and everything in between. It was the kind of day where you’ve got sooooo much going through your head… so much you want to say or do and you just simply can’t find the words to put to it. Some things I was reminded of today…. I know I’ve done it… If you’re honest with yourself, I’m pretty sure you’ve done it too. Ever said anything and wished immediately you could take it back? Generally I don’t have a problem with this, but many, many people just don’t think before they speak! I am amazed at times by the things that come out of some people’s mouths and their lack of a “filter.” Some people don’t even give themselves time to process what is coming outta their mouths! Stop a second people… give your noggin’ a second to catch up with your mouth. What you say and how you say it matters to people. I did used to love this book! you’ve got that person’s complete and utter trust and they’ve got yours, your secrets are meant to be left just that. SECRETS. Don’t tell Suzie at the water cooler about you mom’s, sister’s, dog’s cat and expect your “secret” to stay put. People infected with diarrhea of the mouth don’t know their limits… they simply can’t help themselves. ESPECIALLY when you tell them not to say anything. The whole world is bound to know in a matter of mere minutes if not seconds. Don’t be a “nodder”, LISTEN when someone is speaking. that I am. Just ask my friends both old and new. I think and think and think and think until there is nothing left to think about excepting for the fact that I think too much. From the weather to work to personal matters to friends and family to everything and anything in between. I think about the words I want to say way before I say them; I over think the words of others and read into them way more than ever intended. It doesn’t stop there either. I over think silences just as much as I do the words. For me the silence can often times be worse because then I am left to my own devices leading myself through all sort of scenarios that came outta nowhere but my own concoction of ideas. Some how, I’ve learned that over thinking can lead to more thinking about other issues and little to no progress gets made; yet I still over think. And for the record…. don’t assume. Just ask. Sometimes there are no words. For me it doesn’t happen often as many can attest to my love of talking and writing and just using words in general. But seriously there are times when I just can’t find the words to express exactly what I’m feeling. Or even times when nothing needs to be said. Silence between friends or in a relationship can be totally appropriate and acceptable. realizing such times can be difficult, but with those who know and love me best (and I them) it just seems to be understood. Sometimes a look or a hug is all that is needed. Tied into the listening aspect, sometimes you just need an ear to listen… the friend that knows what you need without you saying so is the best kind to have around. It takes courage to use my words and share them. Whether sharing my writing here with you or confiding in a friend… I’ve gotten more confident in the sharing of my thoughts and the importance of my words. Finding my voice was a long road travelled. there was a time when I couldn’t always say what was on my mind let alone share it with you. I’ve found that as I’ve gotten older it has become much easier to share my thoughts and words with those closest to me. I’ve learned with whom my words will be safe… I’ve learned that saying what you think and feel is important, but how you say it is even more important. For me, WORDS hold a powerful presence in my every day life. FOR ME… Using my words and chosing my words is probably one of the single most important gifts I have. Sometimes you have to take a chance and share a piece of yourself with someone; sometimes you have to “swallow the frog” saying things you never thought you would have to say to someone; sometimes you’ve gotta take a leap of faith and use your words; sometimes you’ve gotta know when silence is not only okay but very much-needed; sometimes you’ve gotta know when to listen and not speak. The toughest of all remains deciphering which is best for you in that given moment. Today, words were all over the place for me. Flitting through my head, written on paper, used in conversation, spoken over the phone, in texts, written in a lengthy email; in the writing of this post. Yet somehow as the day is near its end, I’ve still got tons of words floating around in there… The only difference being they are a bit more put together now than they were earlier today. Do you ever have times where words just seem to escape you? 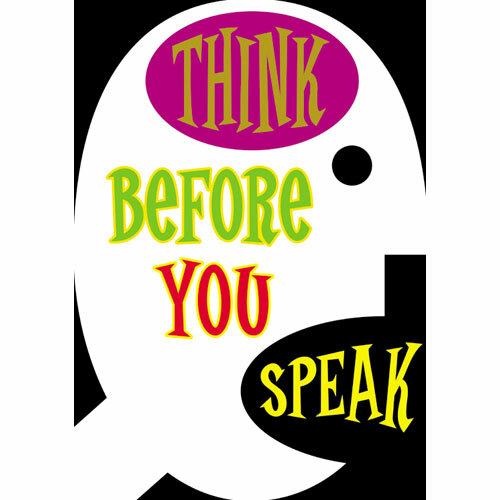 Have you ever shared thoughts with someone and were unsure of their thoughts on the matter? How do you best express yourself when happy, upset or worried? ← I Ran a 5k Today!!! Sweetie, we have all had those days, the open mouth insert foot days. Like the little screener in your head was on a coffee break and you confide in someone you shouldn’t or speak your mind to someone who wouldn’t understand. And no sooner than you words come out of your mouth regret starts to pour in. The good part is that it’s not going to kill us, and it may be a bit of a disruption, but nothing you can’t get over. Here’s a cyber hug, it was just one of those days, and there’s always tomorrow. Awww, thanks for the hug girl! Very much appreciated. 🙂 Yes, that would be the kinda day I was having. Regret’s an awful thing; does no good for ya, but we all do it at one point or another. Happy to say that while today was not a perfect day, it was a MUCH better day. In all honesty, that’s all I can ask for sometimes! Thanks for this reminder…I think we all screw up sometimes…and yep, had one of those days myself. Thanks for listening and being there for me!! You’re welcome dear… Yes, unfortunately we all do at some point; but we are only human!!! At least I know I wasn’t alone yesterday! You’re very welcome…no need to thank me for that; Love you! We’ve definitely all had days like that. And girl, this is such a good post. So well thought out and so much truth here!